Our latest spotlight is on member company, The Clark Enersen Partners. Peggy Merkel, Human Resources Director, shares more about their diverse and transcendent projects in Lincoln and surrounding regions. Memorial Stadium. West Haymarket Redevelopment. The spunky and colorful P Street retail corridor. Assurity’s cutting edge corporate campus overlooking the aesthetic Antelope Valley-Union Bank Plaza Park. 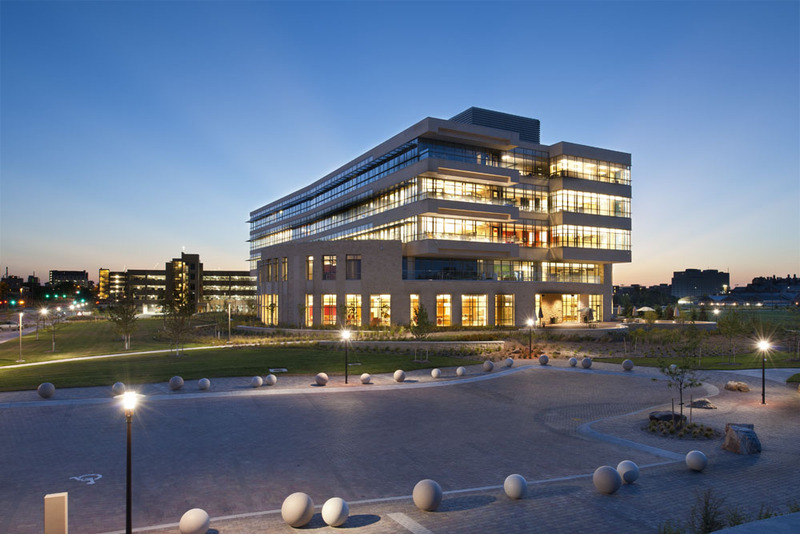 Chances are no matter what quadrant of Lincoln you have passed through, you have experienced the design talent of The Clark Enersen Partners, a full service architecture and engineering firm located near Lincoln Mall. From streetscapes, landscapes and school renovations, to the anticipated amalgamation of historical buildings with new housing and retail structures in the Telegraph District near 21st and N streets, the creative intergenerational team at The Clark Enersen Partners immerse themselves in all facets of design and building, from blueprints to polished, artful finishing touches. Founded in 1946 by Harvard classmates Ken Clark and Larry Enersen, the firm is long-established as one of the few agencies to provide full services to its clients. They safeguard autonomy by offering early-stage planning to construction built to their specifications and timeline to ensure seamless planning and lasting value. Whether small or large, the guiding principle of any project is to integrate client need and design trends, which have evolved over the years, particularly as technology has intermixed with everyday activity. Surpassing one hundred current site projects, one of the biggest projects The Clark Enersen Partners oversees is under construction at the UNMC campus in Omaha. The Global Center for Advanced Interprofessional Learning will include virtual immersive reality environments for both individual and interprofessional learning. Other projects underway, of which the company is particularly proud, include the Marilyn Moore Middle School and Copple YMCA slated to open in Spring 2017 in southeast Lincoln, the new Runza Headquarters, and Woods Park Renovations; they worked on the original master plan of the park in the 1960s. The Clark Enersen Partners are headquartered in Lincoln and have a satellite office in Kansas City, Missouri, which opened in 2004. To learn more about their services and view a project list, visit www.clarkenersen.com.